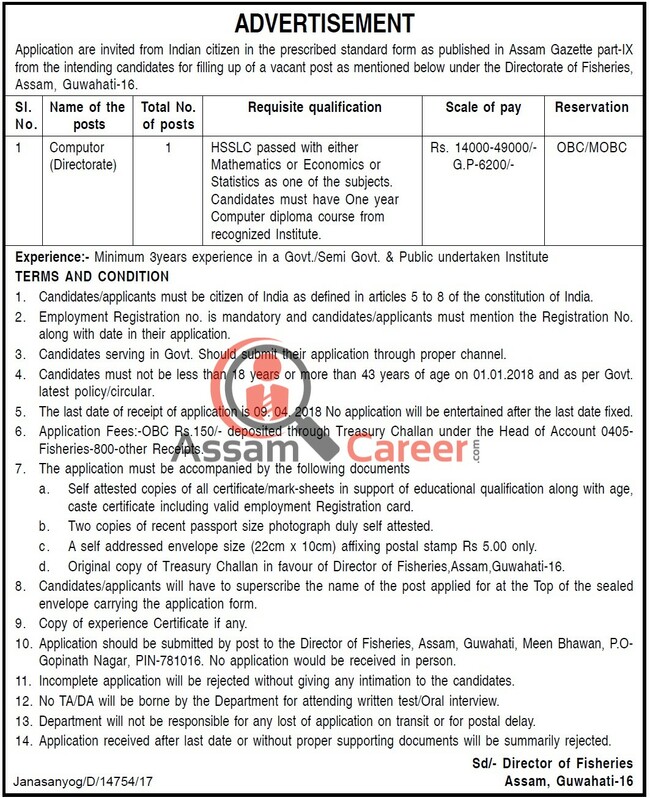 Directorate of Fisheries Assam Recruitment 2018 For Computor (Directorate) Post. Directorate of Fisheries, Assam Recruitment 2018 For Computor (Directorate) Post. Educational Qualification- Candidates Must Have HSSLC With Computer Diploma Course From Recognized University/Board.